How to win at roulette is seems to be a question that’s bugging a lots of people. Or rather: Is there a reliable way for winning at roulette? There are some roulette tricks and roulette tips out there, but they are, at best, ways to mitigate losses. If one is a bit more on the cynical side he could even assume, that casinos take part in ‘designing’ and publicising such tactics, to lure more players to their tables. Casinos carefully calculate their edges, and as we can see they do a very good job, as the casino gambling industry is quite a lucrative one – and usually not for the players. The “How to win at roulette?” question can only be approached one way legitimately, and that is through a method that aims to exploit small biases of roulette wheels which appear as results of imperfect manufacturing and/or the wear and tear of the wheel over long usage times. All the rest are just tactics that do not eliminate the house edge and therefore guarantee, that the player will have a negative balance on the long run. However, even this is not, by no means an easy-money scheme, but for those who are interested, this post offers some roulette tricks for discovering an exploiting wheel bias. How to win at roulette using wheel bias – is it possible? Betting systems in casino games, that don’t use any extra insight about the game (like card counting does), only involve setting the amounts of bets in a certain way bear one collective trait: They do not work. There are of course lots of roulette strategies out there, from lots of people claiming to know how to win at roulette. The truth is, these are ‘crafted’ whether in an attempt to sell the system to others and make money for the person behind them or are just simply very faulty observations of excessive gamblers who desperately want to come up with an excuse, that what they’re doing is not just simply wasting money. 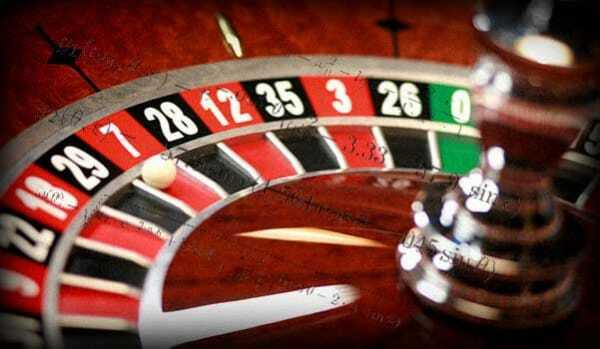 Here I collected some of the methods, that are not mathematically proven by any means, nevertheless some people believe – with near-religious fervour – that these are legit ways of winning at roulette. These are the most basic preconceptions about gambling. Most all other strategies are based on these. The Martingale strategy – in roulette, it means betting on whether red or black all the time and increasing the bet after losses. Martingale is a so-called progressive strategy and all other progressive betting strategies are faulty, just like this one. Flat betting – this is actually not a real system in the traditional sense. It involves playing the same bets all through the game. This one actually has considerably lower losses than progressive systems, like Martingale, but nevertheless still leads to net losses on the long run. Gamblers fallacy – The gambler’s fallacy, also known as the Monte Carlo fallacy or the fallacy of the maturity of chances, is the mistaken belief that, if something happens more frequently than normal during some period, it will happen less frequently in the future, or that, if something happens less frequently than normal during some period, it will happen more frequently in the future. Many gambling “strategies” are based on this flawed preconception, but the truth is, neither the roulette wheel nor any other gambling instrument has a memory. Each spin, throw, roll, whatever is perfectly unconnected to previous or subsequent ones and perfectly random. and lastly, deep pockets to begin with, as most biases are minor and are only profitable on the long run. After reading this guide, you will probably still don’t know exactly how to win at roulette this way, but I will hand you some useful roulette tricks and roulette tips for discovering and exploiting wheel bias and point you into the right direction to educate yourself further on how to win at roulette finding and exploiting wheel biases. An imperfectly balanced roulette wheel with a tilt so small that it’s invisible to human eyes might produce a statistically significant bias. Just as water flows to the lower places, the ball will favour the numbers on the side toward which the axle of the wheel is bent. Loose frets: a fret that separates pockets from each other might loosen over time, due to the impact of the ball that occurs during natural usage. When the ball hits such loosened frets, it absorbs some of the force exerted and the ball doesn’t bounce as much. This is called “deadening” and it leads to ball tending to come to rest in specific areas more often that it would if spins were completely random. Uneven deceleration of the wheel can also result in non-random winning numbers, although only if also combined with common or dominant ball drop point. This too is often invisible to the human eye, but a useful roulette trick for the sharp-sighted player could be to watch for a small change in the deceleration of the wheel when the zero is in a certain position. Note, that some wheels are more susceptible to bias. Generally, older wheels are more bias-prone, partly as a result of inferior design and partly because larger usage times – common sense suggests, that a small initial bias gets worse over time, because the spins affect parts of the wheel unevenly. However nowadays, in the first world, a biased wheel is extremely hard to find, if not impossible. The possibility of a number winning is 1 in 37 on the standard European wheel (on an American wheel, it’s 1 in 38, you should NEVER play on an American wheel as the 00 pocket increases the house edge). This means a quite slim, -2,7% house edge (a number pays 35 times your bet and your original bet, which means, after 37 spins you end up with 36 chips on average, if you always bet 1 chip). Going further along this line of thought, it’s easy to see, that the theoretical break-even point is when the probability of a number coming up is 1 in 36 and profitability starts at 1 in 35. Firstly, even with a sample of 1000, statistical deviation can account for few percent biases, so when analysing results you should aim for 1 in 32-33 or higher probabilities for numbers. It’s important to repeat the analysis with a new sample, if the first one showed the possibility of a bias. See the table below on how the edge changes with changes in probability for individual numbers. Secondly, life is not a vacuum experiment, neither is wheel bias analysis. Tracking numbers spun on a roulette wheel will likely yield messy results, and rather than identifying a number that comes up more often than others, you will likely see a group of numbers with non-random probabilities. Than you have to develop a strategy on how to place your bets on these numbers and how to win at roulette using these insights. Luckily, there are a variety of statistical tools that are easily accessible for calculating wheel bias from tracked results for players seeking to learn how to win at roulette this way. Some are dedicated roulette analysis platforms, like this one but if you’re a more advanced stat person you can also use some general statistics software to support your analysis, like SPSS. And remember, that every statistical result is an estimate by nature, therefore use statistical methods, like chi-squared test and confidence intervals to evaluate your findings. Find the expected frequency of every number under the assumption that the wheel is not biased, i.e. divide the spins by 37. If you have 1000 spins , the expected frequency is 1000/37 = 27.03. For every number from 0 to 36, calculate the difference between observed frequency and expected frequency. Let’s call this number Diff. Eg. Suppose the number 0 was spun 30 times, the Diff = 30-27.03=2.97. Suppose the number 1 was spun 20 times. The Diff for 1 is 20-27.03=-7.03. Sum all the squares of the Diffs from 0 to 36 (remember the squares are always positive numbers). Divide the result by the expected frequency (the same number as above, here it was 27.03). If the number is bigger than 59.89 (a value you have to look up in the chi-squared table, I wont go into details, but this is the method), it is 99% sure that the wheel is biased. Update: The Roulette calculator – determining if there is a wheel bias with chi-squared test calculator is not accessible in an embedded form please click on the link to access it. In the Roulette calculator you can type in your own tracked results, and it helps you determine, whether there is a possibility of a bias. You can do this test with groups of numbers also, if you suspect the wheel is biased towards a group. You have to threat the groups as units for the chi squared test and calculate the frequency accordingly. If you identify 5 groups, for instance, than you have to go like this: 1000/5=200 is the expected frequency and you only calculate Diffs for the 5 groups. Than you divide their sum by 200 and choose the right value from the chi-squared table to compare your results against (15.086 for 99% accuracy). This wont tell you how to win at roulette right away, but it is a nice roulette trick to determine whether you should go on with your analysis. Note, that you do need further analysis to determine how big is the bias and which numbers does the wheel “favour”. Casinos usually keep themselves up-to-date on the techniques that have the potential to give players edge in their games. There are a few practices to trick players trying to learn how to win at roulette as well. Most casinos have bias monitoring systems in place, therefore, if you discover a bias, it’s likely that the casino staff knows or will soon know about it too. This shrinks the window of opportunity to take advantage of the bias. Some casinos change the wheels between tables to cut wheel tracking endeavours. If your casino does this too, you need to derive a way to find the tracked wheel across tables – you need to find some identifying idiosyncrasy on the wheel. Hanging around the roulette table with a notebook, you’re bound to draw suspicion. Subtlety is important. Although, it’s only considered a roulette trick and is not illegal, tracking results can get you banned from the casino. It is not at all a joyride to learn how to win at roulette, but if you have a keen eye for numbers, enough funds and free time, than it could be an interesting, and if you’re lucky and tenacious, lucrative endeavour to try. I hope my roulette tips and roulette tricks help, at least to decide whether you feel up for trying to learn how to win at roulette exploiting wheel biases. A short introduction on how to win at roulette. Roulette tricks and roulette tips for using the only feasible method, called wheel bias. Hi simon, standard deviation number tells us how far a number o section is from average. At 1000 trials you surely find 1 or 2 sectons hitting by 2 or 3 sd. Most due to random volatibity. And, for instance 3sd in a 6 -number-section at 1000 is a stronger chance than the same 3sd at 2000 or more. They would probably even out with 4sd at 3000 . As we get passed data and we put our eye in hot section we probably see positive trends working. We know that luck means fluctuation at range of -3 to +3 standard dev. How do you see this realm? It’s important to note that standard deviation is not a fixed number. Standard deviation is a quantity expressing by how much the members of a group differ from the mean value (expected value) for the group. Yes, of course. It’s all about probability. There is a chance of that happening and if normal distribution applies (, which should apply in case of roulette except in case of wheel bias) you can easily calculate the probability of the results that will fall within +/- 1,2 sigma (93,6%). “And, for instance 3sd in a 6 -number-section at 1000 is a stronger chance than the same 3sd at 2000 or more. And you are saying that: the standard deviation of A > B, and it will even out at C.
Okay, so the standard deviation needs to be established first. First you establish the natural distribution of the system (in this case roulette) by running hundreds or thousands of experiments (in this case just simply playing roulette).. The average of these results will be the expected value. Then you take the expected value and run tests (hundreds or thousands) using the 6 fixed roulette numbers. Then, you compare the numbers with the expected value you calculated and then you calculate the “deviation of results from the expected value (expressed in % of probability)” a.k.a standard deviation, and if that’s high or low enough (statistically significant as they say it), then you are onto something. In short, if the difference is significant from the expected value, then your technique works. So, back to your question: the standard deviation of A is not necessarily higher than B, it can increase or decrease or stay very close to zero, but it does”even out” at C (it becomes more accurate the more times you repeat the experiment). “As we get passed data and we put our eye in hot section we probably see positive trends working. We know that luck means fluctuation at range of -3 to +3 standard dev. I’m not sure what’s the question here exactly but here is my answer. First, luck does not mean a fluctuation between -3 and + 3 sigma, standard deviation is not limited to a range of -3 and +3, it only means that if there is no trend (positive or negative) then natural distribution applies (also called normal distribution), and when we talk about normal distribution we only investigate results between +3 and -3 sigma, because that represents 99,9% of the results. Nothing more. And secondly, you are simply misunderstanding standard deviation. Please look up “standard deviation” and “normal distribution” on Wikipedia, it will explain it better than I can. I hope this helps, thanks for the question. I understand that this is complicated. People don’t deal with standard deviation on a daily basis, most people don’t even know what it is. Still, I hope I could help. Hi Simon, thanks for your answer. Let me clarify it. We are talking about biased wheel detection. You must find a number/section that hit beyond 4 sd to start with. As we add more data(1000 a day), we have got 547 hits at 3000 for the same 6 numbers, sd number is the same 3sd. Ths 3sd at 3000 is weaker that 3sd at 3000., why? One of my questions was to know what 6number-frequency( or sd) should be equal to 3sd at 1000 for 6 number. This subject we know is not in any book. Hi Simon, any comment about my last post? Your question makes no sense and I won’t make the calculations. Sorry. Perhaps someone else visiting this website will. (That method is not working is not working, ad you are on the wrong track believe me).